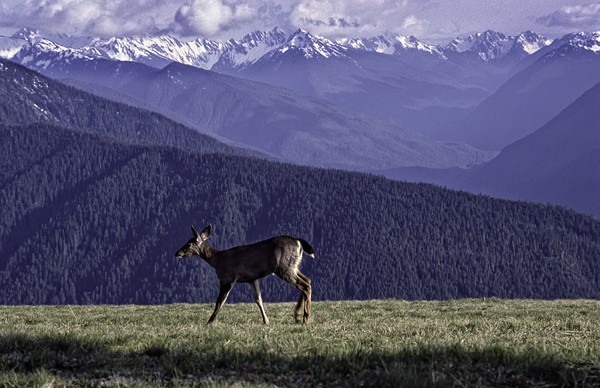 This is scanned from a color slide taken in 1987 on Hurricane ridge in Olympic National Park. 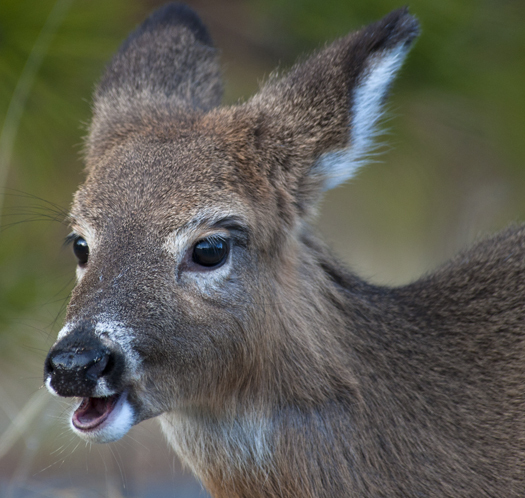 The deer is a Black-tailed Deer, considered to be a subspecies of Mule Deer. It posed peacefully on a beautifully clear day in front of the Olympic Mountains. 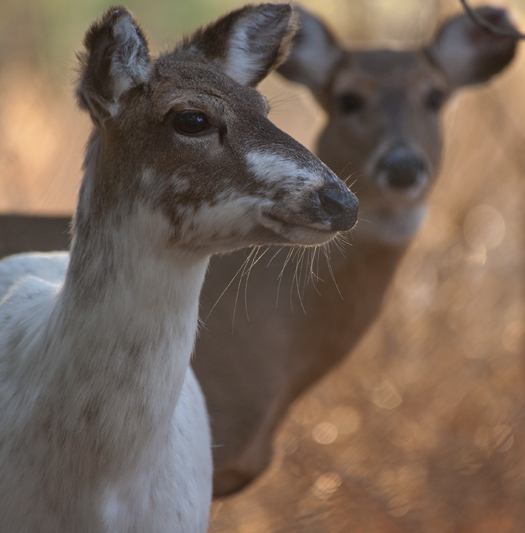 This piebald deer has gotten to be a favorite resident of Cape Henlopen State Park. 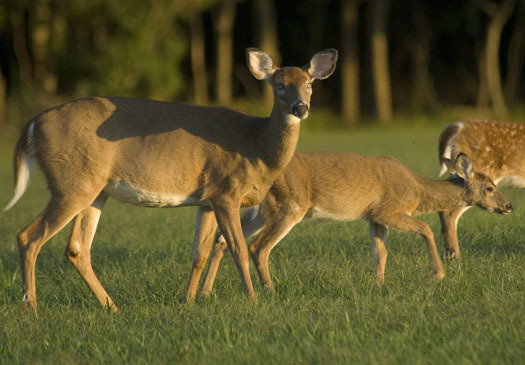 One deer peers without fear over the back of a friend. 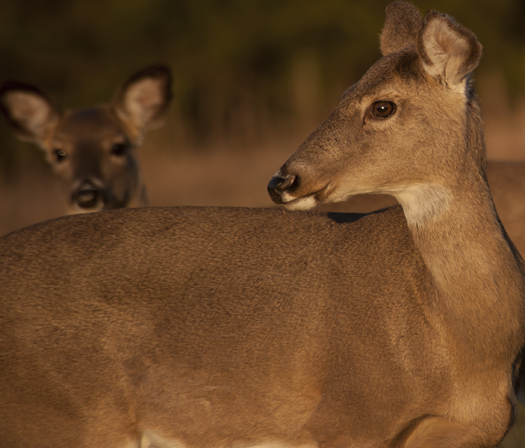 Deer were out in large numbers tonight in Cape Henlopen State Park. 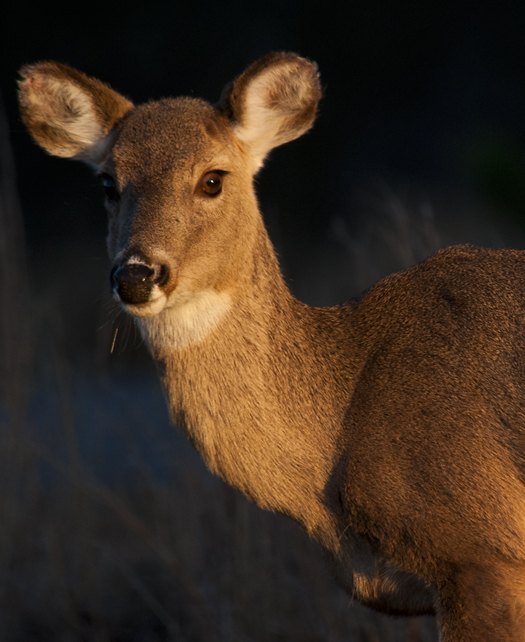 This doe caught some of the day’s last sunlight at the edge of the shadowed woods. 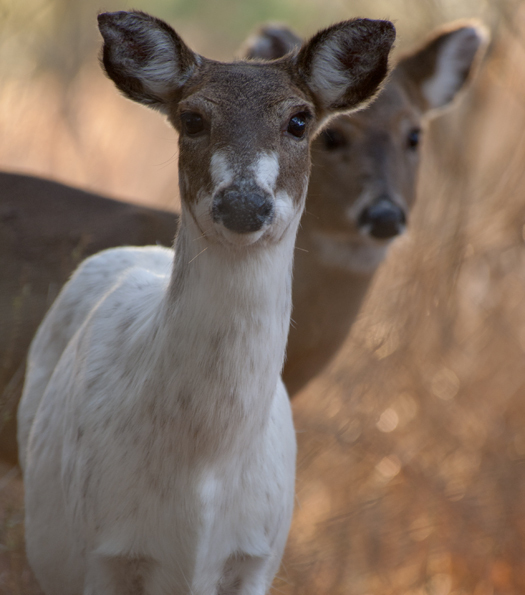 A second look at the piebald deer from Cape Henlopen State Park. Who doesn’t love a yearling deer. Probably many people who lose their gardens to them, but this one confines itself to the vegetation within Cape Henlopen State Park. I found this young deer the other night enjoying a snack just before sunset. 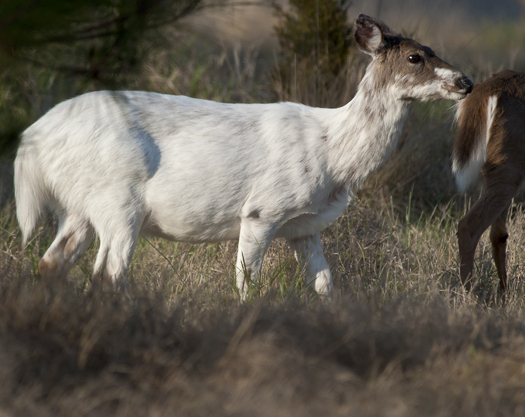 For several years now this piebald deer has been a popular member of the herd that lives near the entrance to Cape Henlopen State Park. I found her tonight with her yearlings in the woods peeking out at me. 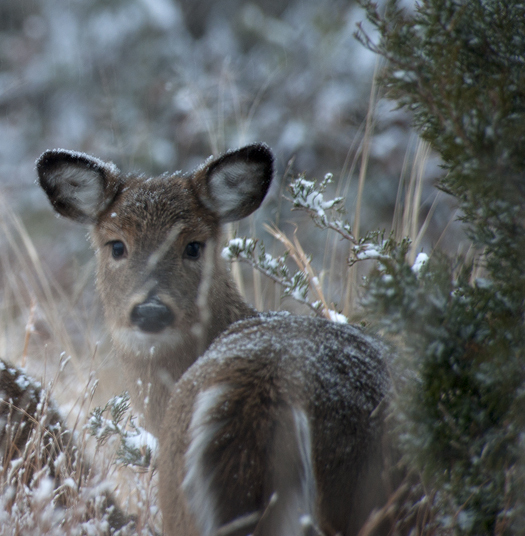 This young deer seemed oblivious to the snow in the woods of Cape Henlopen State Park just before sunset. I usually post photographs of the things I find beautiful and attractive in nature, and I hope they tell a story to the people who see them. This post is, however, is about the not so attractive side of the natural world around us. 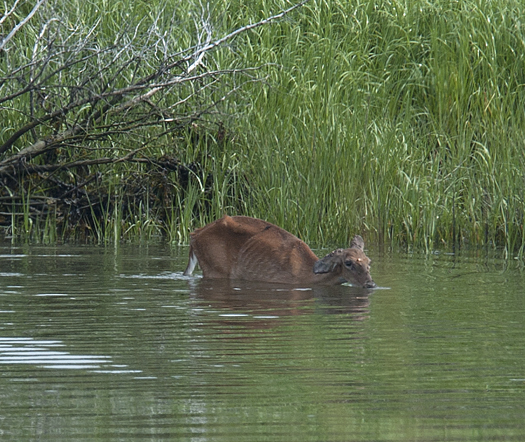 I happened upon this deer mid-morning on June 22. 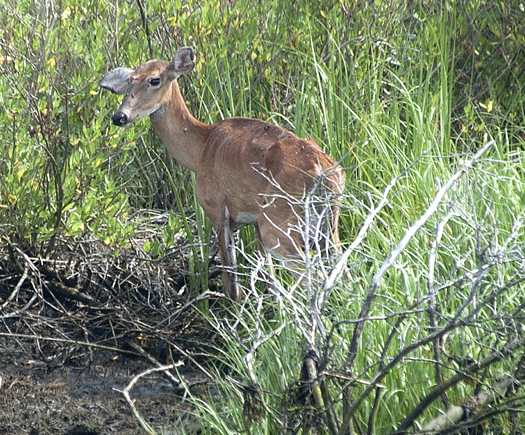 It was standing in the salt water of the Lewes/Rehoboth Canal, emaciated and infested with blood sucking insects all over its ears. It was sad to see and I have waited a few weeks before posting the photos. But it reminds us of the constant struggle animals have daily to find sufficient food and fresh water to get through this day to the next. We have had several weeks of hot dry weather here in Sussex County, Delaware and many animals, I’m sure, have had difficulty finding fresh water sources. 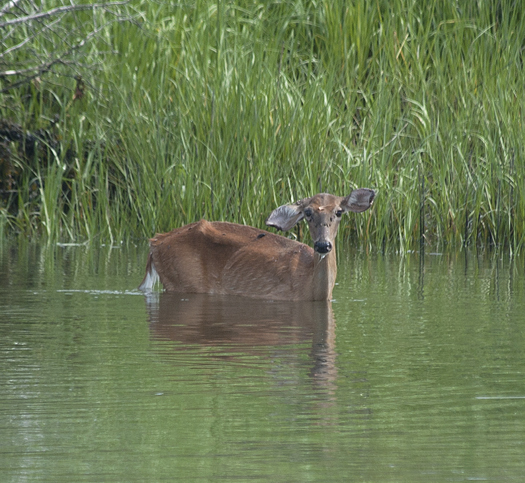 This deer is seen drinking salt water from the canal. I’m not a deer expert but to me this looks like a very desperate measure to satisfy what must be a life threatening thirst. 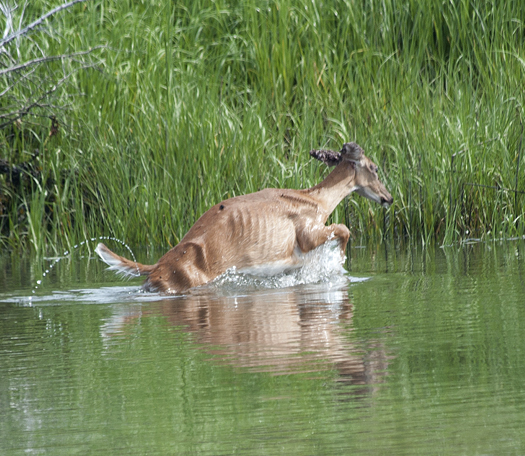 This deer looks like it had very little reserve to go on, but when it left the water to go back onto land it did so with a muscular bound and it looked back over its shoulder from the high shore. These deer welcomed in a strong west wind this afternoon as fall-like weather spread across Delaware today. The adult female has very blue eyes.